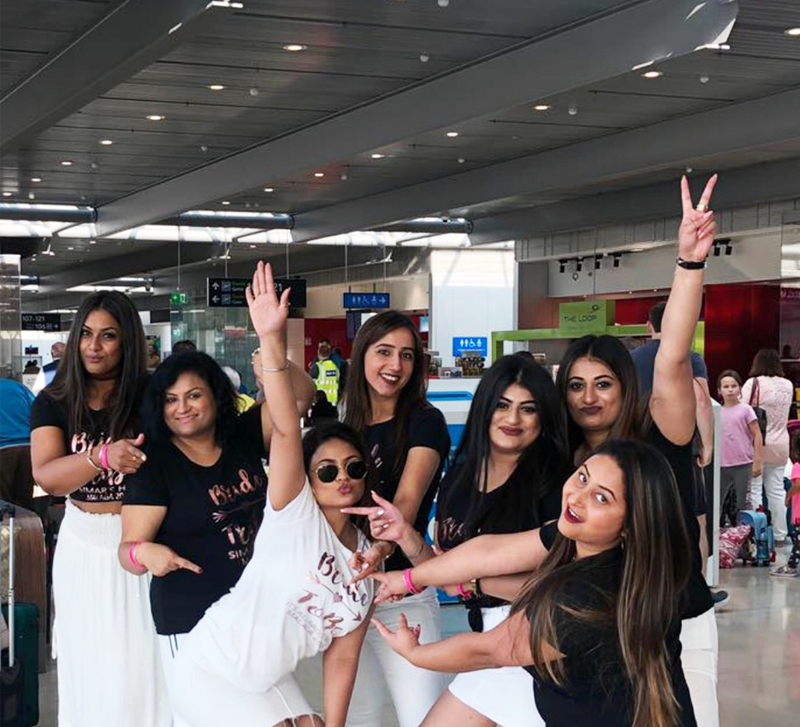 With L’Oréal Paris and WeddingSutra Favorites, bride-to-be- Bhoomika and her squad created looks fit for her bachelorette party! Bachelorette parties are the perfect way to honor the past before entering the future. Whether it is a low-key staycation or an all-out rager in Vegas, this little breather gives you a moment to reflect on your friendships and take time away from the madness of the wedding. 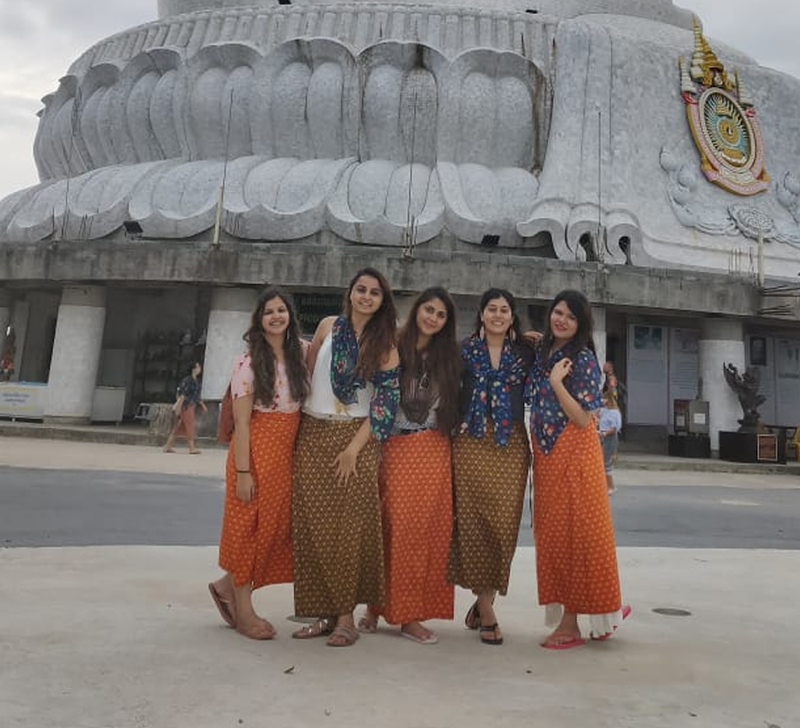 Eager to spend some quality time with her favorite girls, bride-to-be Bhoomika and her friends escaped to indulge in a day spent relaxing and reminiscing about their times together as they made a whole bunch of new memories. Bhoomika and her gang’s idea of a perfect day was treating themselves to a glamorous makeover which they achieved using L’Oréal Paris’ innovative products. While the high-quality ingredients ensure the perfect finish, the advanced formula means the products are ideal for long wear even on a day spent in the sun. Celebrity makeup artist Ojas Rajani made the most of their diverse range of makeup and gave the girls looks that would start a party wherever they went. The day was spent at Courtyard by Marriott Mumbai International Airport. The hotel’s elegant spaces and lush outdoors offered one-of-a-kind backdrops that added to the aesthetics. 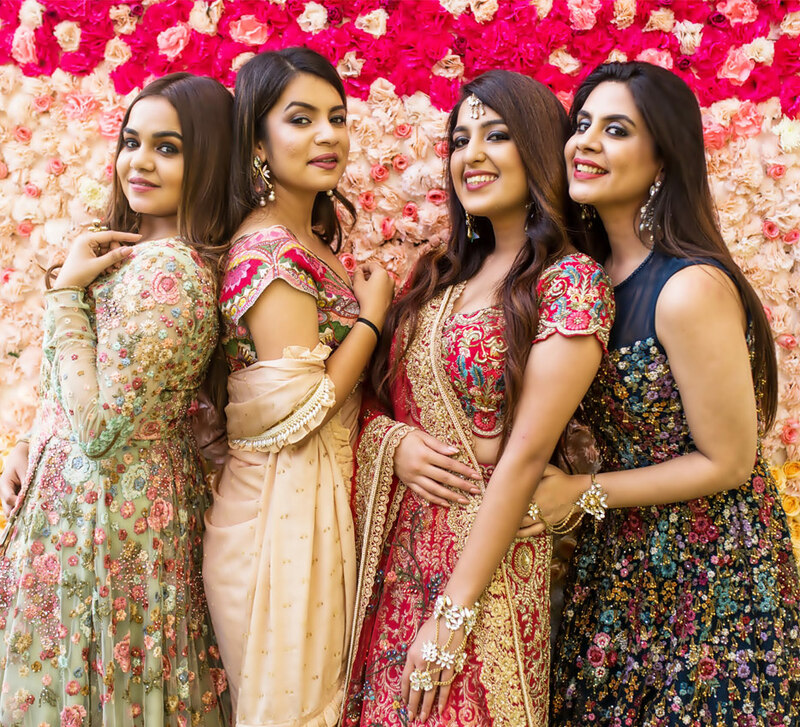 As the girls bonded with each other and discussed Bhoomika’s upcoming wedding, WeddingSutra Favorites Reels & Frames captured striking images that not only encapsulated the theme of the shoot, it also brought to the fore the warmth they share. Talented designers Nikhil Thampi and Nachiket Barve dressed the girls in some of their most chic gowns immediately elevating the mood of the shoot. The clothes were a hit amongst the girls instantly. Known for their extensive collections crafted using American diamonds and semi-precious stones set in 22kt silver, DNA Jewels extended pretty baubles which were the perfect complement to each of the girls’ looks. 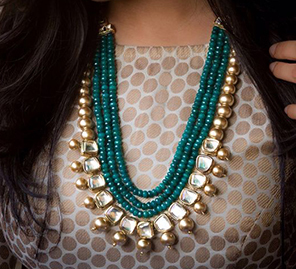 As the one in the spotlight, Bhoomika’s look had to spell elegance and power at the same time. Makeup artist Ojas Rajani gave her a sultry gaze and completed the look with a red-stained pout. Using the L’Oréal Paris Voluminous Lash Paradise Waterproof Mascara she fanned out her lashes. The volumizing and lengthening formula glided on evenly and easily due to its smooth texture and delivered a full lash fringe that was feathery soft. The L’Oréal Paris Color Riche Moist Matte Lipstick Pure Garnet allowed her to achieve perfection. Infused with ultra-moisturizing oils the product rendered a gorgeous velvet matte finish that was ideal was for all-day comfort. For Ruby, makeup artist Ojas Rajani had a more monochromatic look in mind. While she bordered her eyes with an intense black liner, she downplayed the rest of the face. The L’Oréal Paris Color Riche Moist Matte Lipstick Beige Couture was the star of this getup. Created using the matte gel technology and packed with the goodness of jojoba oil, the product left her lips nourished and looking healthy. Not only did the lipstick last all day, but also added a sophisticated touch to her subtle visage. Makeup artist Ojas Rajani used the L’Oréal Paris Color Riche Moist Matte Lipstick Beige Couture along with the L’Oréal Paris Voluminous Lash Paradise Waterproof Mascara to create this look. The mascara wand with over 200 soft wavy bristles holds the maximum amount of formula and catches every lash for a dramatic volumizing and lengthening effect. The lipstick, on the other hand, with its muted color helped bring balance to the bold eye makeup. The hydrating components of the lipstick delivered an intense matte look that also gave Nidhi’s lips a smooth and silky finish. Rocker Chic was the approach when it came to Priyanka’s makeup and the key features that took the look forward were statement eyes and a lip color that packed a punch. The L’Oréal Paris Color Riche Moist Matte Lipstick Soft Violet combined with deep pigments and jojoba oil has an intense color pay-off. The lipstick imparted a lush texture to her lips and the long wear quality of the products ensured that there was no need of touch-ups.